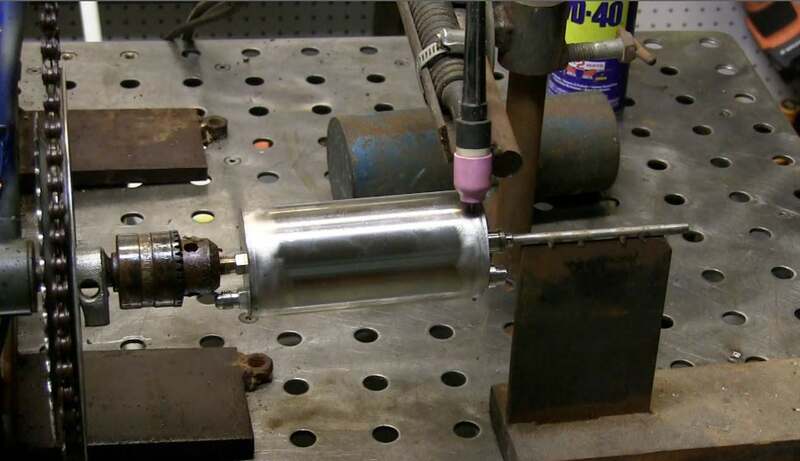 Way back around 1998, I got a request quote a job that involved welding 200 or so round parts. I didnt have a welding lathe or a turntable but I quoted the job anyway and got it. The story was, I was supposed to do 100 parts per month for several years but I had heard that song and dance before so I proceeded with caution and built my own turntable for these parts for the first order of 200 parts. I cut an old 12 speed bike in half and used the back end. I had a shaft machined that would replace the pedal shaft and had threads turned on it to accept a simple drill chuck. Because the parts were very small and light, I decided to make this DIY welding lathe specifically for the job and 3/8" drill chucks were plenty heavy duty to hold the parts. I used a few pieces of 1/4" round bar to fashion a cradle for a Kmart 3/8" variable speed drill motor that I picked up at a yard sale for 5 bucks. I chucked up a 1/4" piece of round stock in the drill motor and adjusted the cradle so that the round stock would drive the rubber tire. In 12th gear, there was enough gear reduction to slowly turn the 2" parts...the 1/4" round stock would spin just the right speed and I could get it dialed in just right using a hose clamp on the trigger. I made a tail stock that was the same height as the center line of the drill chuck and I used a 1/4" piece of stainless tubing to attach a purge hose. The torch holder was made from an old counter weight and I rigged up some simple adjustments on it so that I could easily position it. The parts I welded did not require filler metal so I could actually do other things once I got the weld started. I also hooked up a timer switch to replace the foot pedal and timed the weld so that it would make one revolution plus around 1/4" and then the switch would activate the crater fill function on my miller syncrowave 250. It was a crazy setup that looked crappy but welded like a champ. When I got the second order for 200 parts , I felt a bit more confident pulling the trigger on a used welding lathe. So I ordered one off Ebay and spent around $2500 on it. 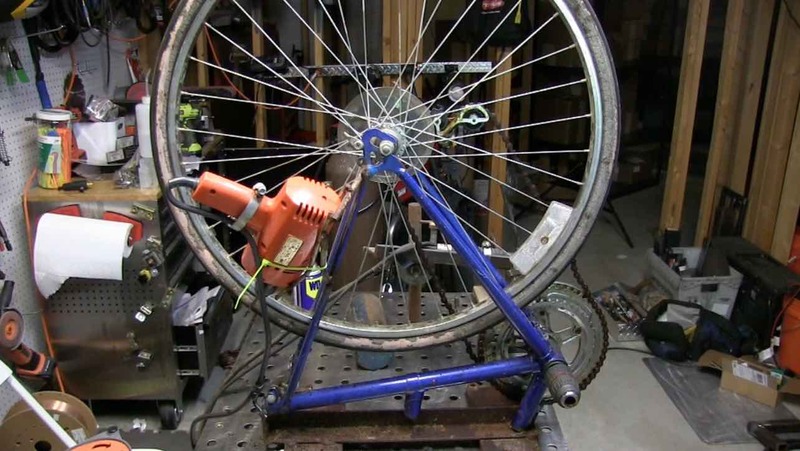 Its not the best one out there but it works better overall than the DIY scrap bike model. I never got another order for those parts. No regrets tho... I use my welding lathe several times a year and it has paid for itself many times over. But honestly, I used the turntable positioner part way more than I use the tailstock and torch holder. But the whole setup is nice to have on certain parts. 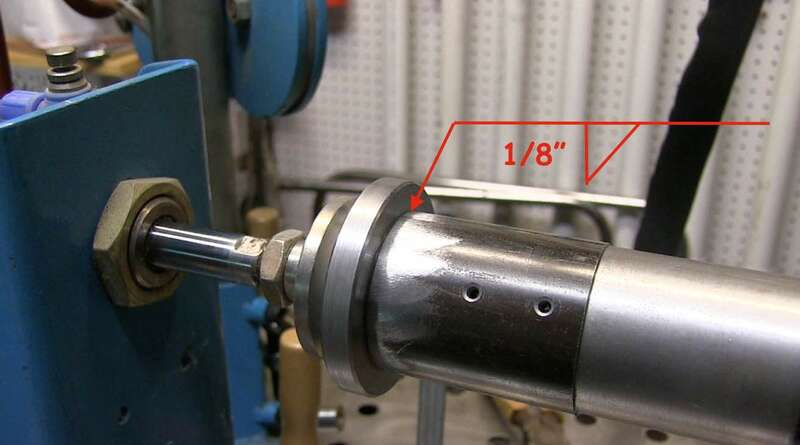 This first pic is a partial penetration groove weld. The 1/8" dimension indicates depth of prep. if it were in parenthesis, it would indicate penetration. 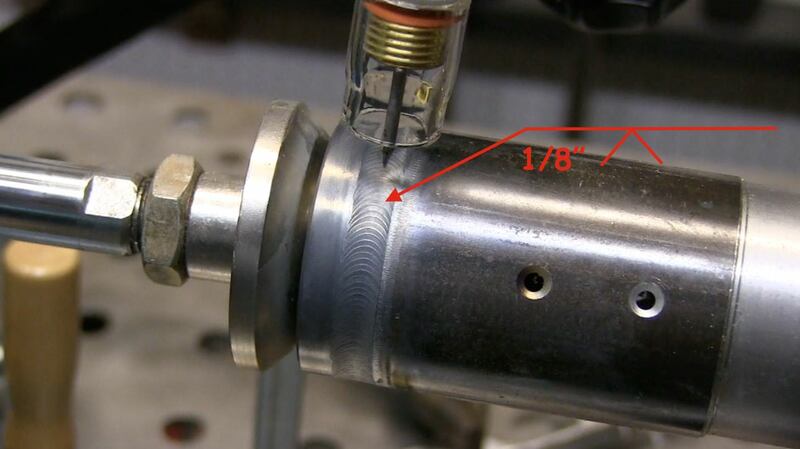 The pic below has a simple fillet weld symbol requiring a 1/8" size fillet weld done from the arrow side. the arrow side is always on the bottom side of the reference line.